Today is the day! 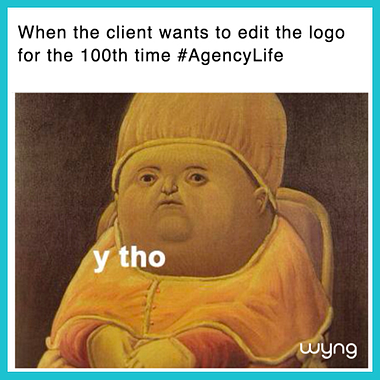 With voting officially closed, we are excited to announce the grand prize winner of our #AgencyLife Meme It to Win It Giveaway! Thanks to everyone for participating and submitting some 🔥 memes! You all could easily give @BeigeCardigan a run for her meme 👑. And now we would like to congratulate, Kathy Gonzalez-Rubio from Studio Brand Collective! She is the winner of the case of Whispering Angel rosé, a case of Babe rosé and three free digital campaigns with our Wyng platform. 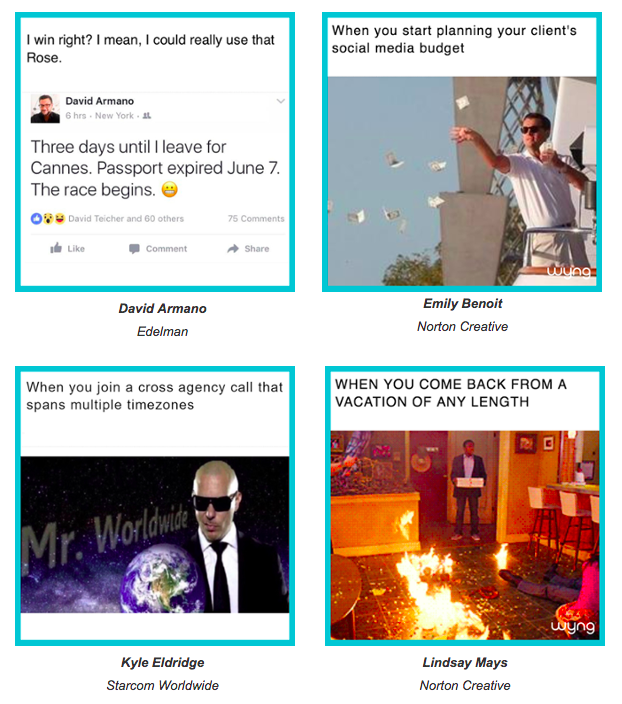 Huge congratulations to our four semi-finalists, who gave Kathy some stiff competition: David Armano, Edelman; Emily Benoit, Norton Creative; Kyle Eldridge, Starcom Worldwide; Lindsay Mays, Norton Creative. We loved giving away so much rosé, but stay tuned, we are working on something for agencies that might be as good as a crisp cold glass of rosé. In the meantime, make sure you follow us on Facebook, Instagram, Twitter and LinkedIn.